Going into this year's Sony press conference there have been a lot of rumours surrounding certain games and the potential of a quiet holiday in regards to actual first party exclusives. 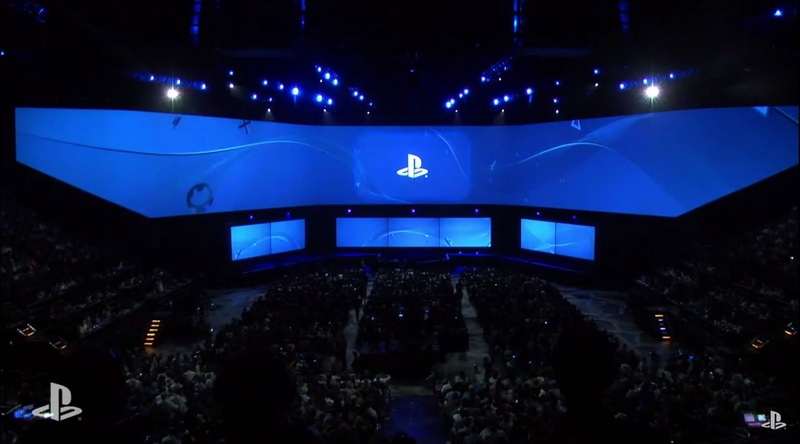 Can Sony do a repeat and impress the masses once again? We kicked off with a long awaited game and the hype reached earthquake levels before any footage was even shown. Yes I'm talking about The Last Guardian a game that, just before E3, was rumoured to appear along with other rumours such as Mark Cerny working on the game. Visually it looked incredible and I can't wait to get my hands on it sometime next year. The amazing minds behind the Killzone series came out swinging tonight to show off their newest IP called Horizon: Zero Dawn! From the looks of it, the planet has been covered in darkness and civilisation has had to start again. As time passed nature took over the now empty cities and new life has been born. Once they start speaking about hunting, I got a very Monster Hunter feel from it just from the tribal clothing and weapons, however one thing the trailer does not mention is why there are machines roaming the land? Are they the ones responsible for everything ending in the first place? It's the world premier of the new Hitman title as we see Agent 47 taking a lovely run in what looks like a very cold place. In addition to the console release (both on PS4 and Xbox One) Hitman will also be released on Windows PC, however those who pre-order the title for PS4 will have access to an exclusive beta as well as six contracts. A new trailer was showcased for the PlayStation 4 exclusive, Street Fighter V! The new video showcased two new very British character reveals in the form of Cammy and Birdie. We see some of their updated moves and Cammy's new finisher which in my opinion looks completely insane. It was also announced that the beta will be coming in July and you can sign up now to participate. Hello Games' Sean Murray gives us a gameplay demonstration on the upcoming Space and exploration title, No Man's Sky. The game's full of choices and even during the demo we're shown options for taking sides in an intergalactic war between two factions. We're also shown the actual scope of the game and my god is it ridiculously huge. Each glowing point represented a Sun with its own planets and solar system, and seeing how many there were well... speechless is a good way to put it. We are also taken to an undiscovered planet and shown a few key gameplay aspects such as Sentinels who protect the planets from explorers and destructibility. Now this one confused me the most and is something that will hopefully be explained better as development progresses. From my understanding the concept is based on dreams and the idea of creation. You can sketch, paint and come up with your own world, some of which we were given a glimpse of. Also you should be able to explore the dreams and imaginations of others. This game will be making its console debut on the PlayStation 4. The game is set in the wilderness, where it seems that your only actual contact is a female on the other side of a handheld radio. Two women have been reported missing and it seems that someone is working behind the curtain to cause some trouble. The Taken King is the next big adventure coming to Destiny. Seeking revenge for his fallen son, The Taken King has come out and is building a dark army in order to hunt down the guardians.The new expansion introduces a new story campaign and quests, new enemies to fight, new locations to explore, new Strikes and Crucible maps, a new Raid that will put players to the ultimate test and more. To stand up to the challenge, players will have access to three new devastating Guardian subclasses, and a massive arsenal of weapons, armour, and gear. The next game takes us to Victorian London. We are introduced to one of the female assassin's Evie Frye and the multitude of weapons she uses such as the throwing knives, cane sword. There are also special missions coming exclusively to the PlayStation 4 version of Assassins Creed: Syndicate . This is probably the cutest rendition of Final Fantasy that I've ever seen. I guess it would act more like a gateway for those unfamiliar with the franchise seeing that its chock full of appearances from fan favourite characters. This is going to be released exclusively for PlayStation 4 and PlayStation Vita. Now this was a huge announcement and the one I believe to have made the internet explode! It has been finally confirmed that Final Fantasy VII will be getting a remake and that full development is currently underway and will be arriving first for the PlayStation 4. Could we possibly hear more from either Gamescom or Tokyo Gameshow? Another internet explosion moment when Sony brought Yu Suzuki, the creator of Shenmue on stage to announce that the game is being developed via Kickstarter and they needed the help of the fans in order for it to be realised. The long awaited entry to the Batman series will be released next week and we got a new trailer for the upcoming game. Just from first impressions it looks to be darker than any Batman game that has come before it and for fans of the series, that can only mean good things. We saw The Joker's body being cremated, So does that mean he is officially dead? Or is that someone else in there. We also see a police officer suffering a pretty heavy hallucination which I believe to be a part of the PlayStation 4 exclusive Scarecrow nightmare missions for Batman: Arkham Knight. Sony start talking about their new VR kit, Morpheus. To put it simply they explain how developers are now looking into ways to make full use of the new expanded view, in order to bring even more immersion to future titles. A few albeit very short snippets of Morpheus titles were shown, more notably from Guerilla Cambridge, who are working on Rigs. Looks like Sony has kidnapped Activision from Microsoft as PlayStation owners will now be the first to play all map packs and be the first to play the beta this August for Call Of Duty: Black Ops III! During the presentation we were shown the mayhem we could expect from the Single Player, however I think the Multiplayer video below is what got people excited. From the new classes to the ridiculously fast gameplay, Black Ops III is shaping up to be a good one. During the Star Wars part of the presentation, we were exposed to the upcoming Disney Infinity 3.0. 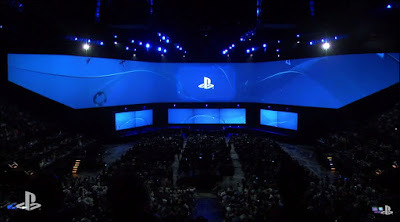 It was announced that the Sony consoles would be the best place to play as it will be receiving exclusive content. While all consoles will launch with the Twilight of the Republic Play Set, Sony consoles will receive the limited edition "Star Wars" Saga Starter Pack. According to Disney, PlayStation 4 and PlayStation 3 will be the only place that fans will be able to play as Boba Fett in 'Disney Infinity 3.0 Edition' through the holidays, and will also allow fans to get the Star Wars Rise Against the Empire Play Set nearly a month before it hits store shelves. Another big title that is in huge anticipation! Star Wars: Battlefront hit the stage and we were shown a short video demonstrating it. We are thrown straight into a battle with the empire where it is now all about survival. The game can be played either Solo or with a friend. Other than the game looking absolutely amazing, this is one I personally can't wait to get some serious time on. What would be a Sony press conference without an appearance from our favourite explorer, Nathan Drake and Uncharted 4: A Thief's End. We were given a gameplay demonstration where we see Drake and Sully being chased by a mob through the streets, and its the first time we see actual vehicle control, something that I hope carries on through the rest of the game. This year, Sony had a pretty solid showing and while there isn't much in the way of first party titles coming this holiday season, the future looks bright for Playstation.